The Matildas have gone down swinging to world champions USA in their friendly ahead of June's World Cup, losing 5-3 in Denver. Stunning goals to Lisa De Vanna, Caitlin Foord and Sam Kerr weren't enough for Australia to maintain its winning record under new coach Ante Milicic. The goal was a stunning example of level-headed, individual brilliance from the experienced Matilda. But the United States showed their pedigree, storming home with three goals in 13 minutes and withstanding a late flurry in the wake of Kerr's consolation. Alex Morgan, Tobin Heath, Megan Rapinoe netted for the USA before hometown heroine Mallory Pugh scored a double, the last deep into injury-time. The contest in Colorado was an open and free-flowing match befitting of two of the world's best sides. In a pulsating first half, the Matildas quickly found themselves on the back foot. 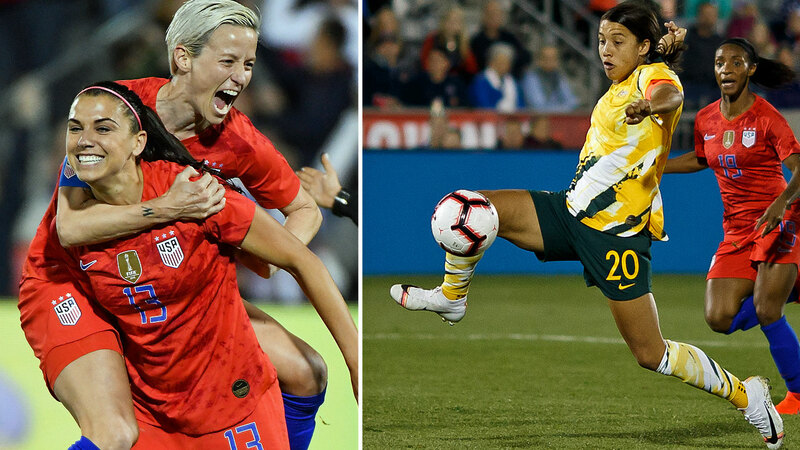 Led by emerging star Rose Lavelle and legendary forward Heath, the world's No.1 side were denied by sharp Matildas defending until a moment of inspiration from Morgan. The USA co-captain left Clare Polkinghorne on the turf and burned off Alanna Kennedy with a drop of the shoulder before striking her 100th international goal. Australia responded on the half-hour mark with a lightning-fast counter. Kerr and Foord combined in midfield before the latter released De Vanna, allowing the 34-year-old to take a touch and strike the equaliser. Kerr almost put Australia ahead with a deflected strike but the USA pushed on, forcing Ellie Carpenter into a last-gasp goal-line clearance and Lydia Williams into a fingertip save. While the Americans were on top leading into the break, the Matildas changed the contest within two minutes of the resumption. Kennedy surged from defence to play in Foord, who pirouetted before curling home one of the great individual efforts. 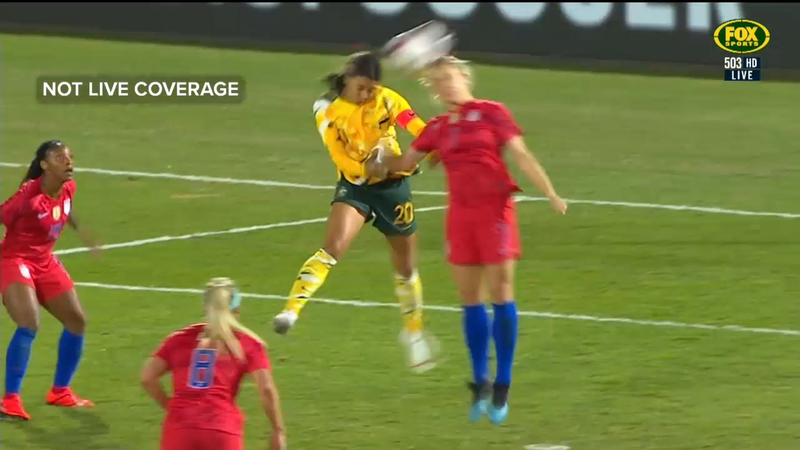 The Matildas' exhilaration and lead lasted all of six minutes. Heath put away a backpost header to level the scores before Rapinoe burned off Tameka Yallop to fire the USA ahead. With Australia at sea, Pugh scored within 30 seconds of her introduction to give the USA a two-goal buffer. Kerr's bullet header from Hayley Raso's superb cross gave Australia a glimmer of hope before Pugh chipped home in the final minute of the game to complete an end-to-end classic.